What's better than entertaining your children? Teaching them gospel principles at the same time. This 3-D animated adventure will have your kids singing along as they learn the story of Moses and the power of finding their talents. I got this used from DI after my son wanted to see it. It was a huge letdown, not only was it unwatchable. It promotes violence, belittles those that are different, and removes the spirit from your home faster than watching MTV. I can say without a doubt the creators of" scripture Bugs" have greatly missed the mark. I'm offended that Deseret book would even carry this. Thankfully no one will ever watch this copy as I snapped the disk and threw it in the trash, and I hope no one else will make the mistake of bringing scripture bugs into their home. My children and I love this movie. Not only is it entertaining and creative, but it's uplifting! My son was 7 when I bought it, he's 8 now and he learned from it, in a way that he can apply to his everyday life! My almost 2 year old daughter loves to dance to the music. This DVD is WAY better than watching anything on TV. I highly recommend it to any family. The Benson family gives the creators two thumbs way up! I watched this with my little 7 year old girl and she and I both agree that the spirit is not in this product. I promptly returned it and would recommend that it is pulled from the shelf. I don't know if the creators are dead inside or if they are even LDS, but the over all feeling after watching this cartoon left me feeling hollow and empty. This is an unimpressive video overall. Yet it might have been all right had it not taught my 3 year old to pretend like he is readying a shotgun and say, "I'M GOING HEBREW HUNTING!" How do you think that would go over at preschool? WHAT WERE THEY THINKING?!?! I am so fed up with so called "church videos" apparently made by young men who either don't have kids or aren't thinking of them and the imitative potential of some of the material they produce. Living Scriptures videos fall into this same category all too often. Very, very disappointing. I feel safer letting him watch Nick Jr., which is unfortunate because it would be wonderful to have my child's TV time be both entertaining and inspirational. It was all fluff. To me it felt like the entire reason this was made was to pump the egos of the musicians and sell the music CD when it comes out. The visuals were nothing special and the music was unimaginative and hollow, using the same old cliche techniques by all the rest of the pop culture industry. My kids love the songs and it gives a great message. Let's face it, with what they see in cartoons these days there is nothing wrong with this movie. I love hearing my kids singing the songs and realizing that they are children of God and that they have worth! Can't wait until the next one comes out. We received this as a gift and heard later from someone who had it that they didn't like it. I decided to give it a chance. At first I wasn't impressed with Pharoah's "groupies" but I decided to look past it until we got to the point where Pharoah picks up a gun and says something to the affect that he is going to kill the Israelites. That isn't a message that I want my children to take away from a "church" movie. Any movie based on the scriptures needs to be accurate. My children loved this movie too, but they would watch anything if I let them. I agree with the other reviews that the quality could use some improvement. Not what my kids or I were expecting. So we Gave it to D.I. Warning this DVD is packed with BOY BAND MUSIC! LOL.. that warning is from my 8 year old son. He told me I HAD to put it in. While the story was cute it was just a product that my family didn't care for. 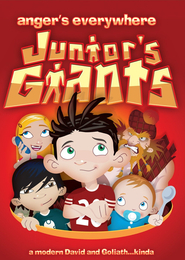 My kids love this DVD. They are 4 and 2 and ask to watch it every morning. They love the music and it brings a great spirit into our home. There a many good messages that this DVD teaches. I am excited for any more DVD's from Aaron Edson. He has done a great job. My kids are age 4 and 2 and they loved the dvd. After they watched it the first time, they kept asking to watch it over and over again. I enjoyed it myself and it has a great message. It teaches them that no matter what we are all important in the scheme of things. The songs are catchy and inspiring, especially "I'm a child of God"
I am looking forward to buying the other episodes for my children. 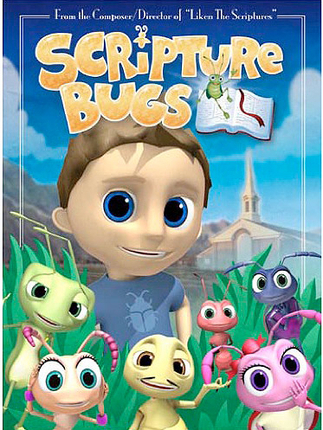 Our children absolutely love Scripture Bugs, even our 1 year old squeals with excitement when we put it in. She loves to dance to the music and absolutely loves the characters. We have never seen her get so excited! We, as parents, love to have something for our children to watch that will teach them good morals and also teach them stories from the scriptures. They never get sick of it they just watch it over and over. We would recommend this video series to any one who has children—they will love it! this is one of the best products for young children I have ever seen.......It is cute, engaging,age appropriate and beautifully done. We have 3 little grandchildren in our home, ages 2,3and 4.......they love it more than any other..
My children love these videos! They are a perfect talking point for parents to teach their little ones. I just wish they were longer and I wish I could find more of them! Kids not happy with it. My kids didn't like it. I'm all for giving support and praise where it is due but in this case I feel that it would be praising medeocraty. And that is being generous. Not every scribble with crayon that everyone makes is refrigerator worthy. This is a scribble that even my kids didn't like and could see the poor quality in it. From the cover it looked cute, but a bit of a letdown for me and my kids. After watching, they didn't want to go kill bugs or anything like that. they just didn't enjoy it. Agree with the juniors giants 2 post. I don't see what others are seeing with the animation quality. I think it looks at least as good as what is on Saturday morning cartoons. And for the price in our market, there's certainly nothing better. If your kids don't like it, fine, but my kids love it and I don't think any kid is going to complain because of the animation quality. It teaches a great lesson and I think these guys need our support, not our criticism. My kids love Scripture Bugs! 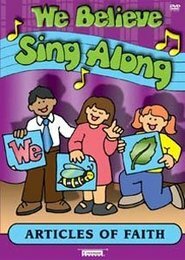 My kids ages 2-13, love the songs and music of scripture bugs; throughout the day I can hear them going around the house singing the song "Child of God" that they heard on Scripture Bugs. I like the use of scripture to teach a positive lesson through words, animation and music. I can't wait for the next one to come out! I tend two kids ages 4 and 6 and every morning for the past week when they arrive they have requested Scripture Bugs to watch. They love to dance and listen to the music, especially "King of the World". I bought this the other day, the kids put it on and loved it. They liked the music alot!